I am supposed to write about this in my new blog for my underwater activities, but I am too busy to start one and I cannot resist myself to hold the story any longer. This is the best thing ever happened to me in 2013 when I said yes to Julia and Lukas from apneabali (check apneabali.com) to train with them for the One Breath Jamboree 2013. I went back and forth to Bali for the trainings, but I didn’t always get lucky because I am easily attacked by stomach bugs. 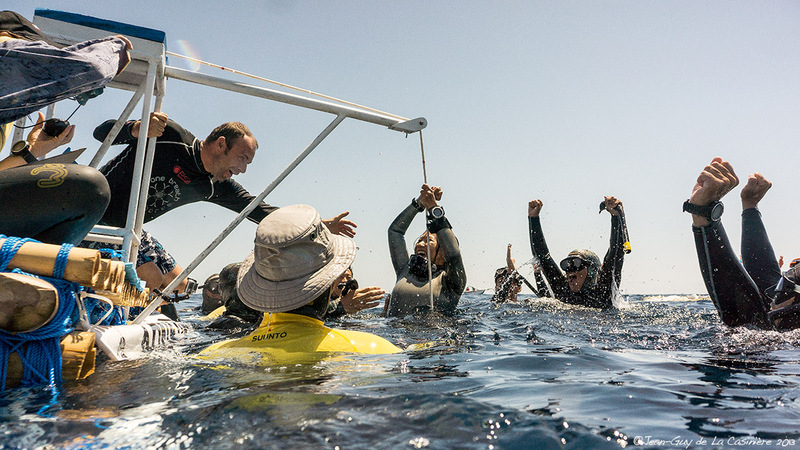 For sure we know that stomach bug is not good for freediver, because we use belly breathing. Besides, it is not nice to hold your breath while having the (severe) stomachache. 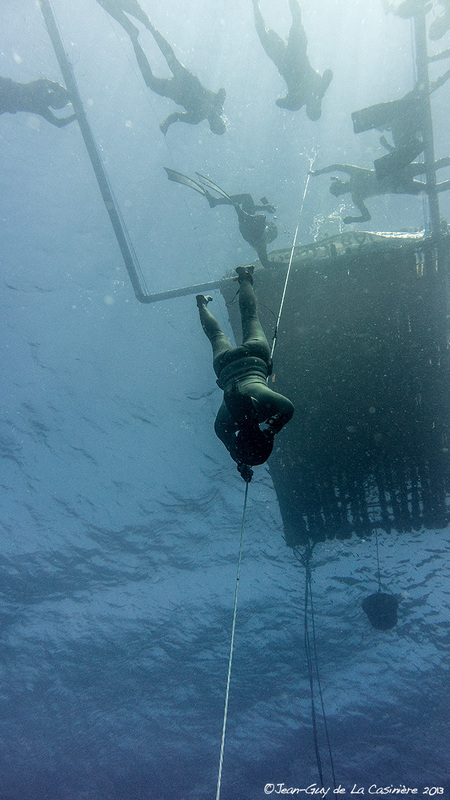 One Breath Jamboree 2013 was my first ever freediving competition. I did 2 dives. One was Free Immersion (descending by pulling the line down and back to the surface by pulling as well) and the other one was Contant Weight (descending by swimming using fins – bifins or monofin). I got white cards for both dives meaning my dives were valid with proper Surface Protocol (take off the facial equipment, give OK sign, and say “I am OK” on the sequentially). So, with the two white cards I am now the First Indonesia Female National Records Holder for Free Immersion and Constant Weight. Thank you a bunch Julia and Lukas! for having me at Apnea Bali. The dives were amazing easy dives. I am so grateful to have Lukas and Julia as my instructors and coach and safety diver. I really cannot ask for more. It’s more than I deserve. They took good care of me, encouraged me, and they were the happiest persons at the platform when I got my white cards. Lukas even smiled to me on my way back to surface with the tag (yes, we have to bring a tag from the bottom to prove that we reach the depth). He doesn’t smile that much, so seeing him smiling was a huge pleasure!! I mean it and I treasure it! I miss Bali and Apnea Bali. I wish to go back there soon and dive again. Go deeper and train to be better and better. As Miquel said, freediving is about continuous learning. We don’t stop. We find ourselves by keep learning and keep diving.